RACER is a great acronym to help your students remember what is needed to create a great response. Each poster shows the level of the response on a scale of 0-3. 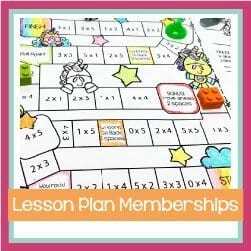 Print the posters smaller (4 to a page) and put them on a ring as a reminder for your students, add them to an interactive notebook, or print them larger and hang them on a bulletin to use as a reminder and teach-to. 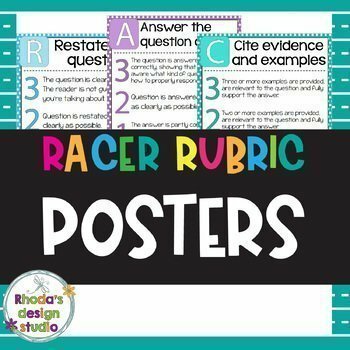 This resource includes 5 rubric posters that measure 8.5 x 11.